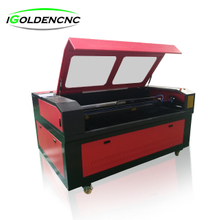 Laser cutting machine is a laser beam that emits a laser from a laser and focuses on a high-power density through a optical path system. 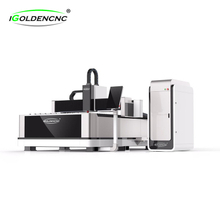 The laser beam shines on the surface of the workpiece so that the workpiece reaches the melting point or boiling point, while the high-pressure gas with the beam coaxial will blow away the molten or gasified metal. 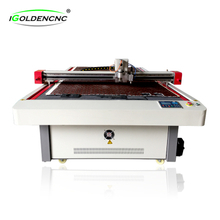 With the movement of the relative position of the beam and the workpiece, the material is eventually formed to cut the seam, so as to achieve the purpose of cutting. 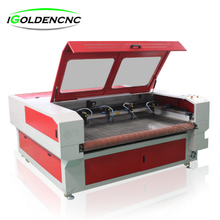 Laser cutting is the use of invisible beams instead of traditional mechanical knives, with high precision, fast cutting, not limited to cutting pattern restrictions, automatic typesetting saving materials, incision smoothing, low processing costs and other characteristics, will gradually improve or replace the traditional metal cutting process equipment. 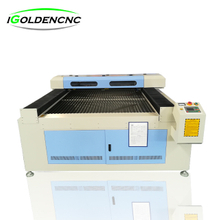 The mechanical part of the laser head is not in contact with the workpiece, in the work will not cause scratches on the surface of the workpiece; laser cutting speed is fast, the incision is smooth and flat, generally do not need subsequent processing; cutting heat impact zone is small, plate deformation is small, cutting seam is narrow (0.1mm~0.3mm); incision has no mechanical stress, no shear burr; Good repeatability, do not damage the surface of the material, CNC programming, can process any floor plan, can be a large size of the whole plate cutting, no need to open the mold, economical time.